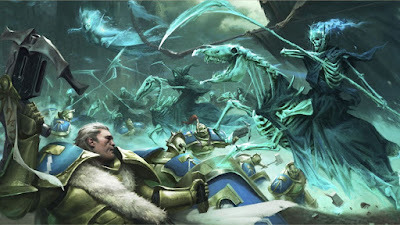 With the completion of Nagash's grand plan, the forces of death have now risen as the main antagonist of AoS, usurping the spot Chaos previously held. This new arch-villain for the setting sets AoS apart from its brother system in a way that I think really helps it shine. So, what does Nagash bring to the Mortal Realms? Back during Warhammer Fantasy there wasn't really any central villain figure to the setting. There was Chaos and Death, but they kind of shared the stage with orcs, dark elves and the like. When AoS rolled around Chaos was put front and center as the main antagonist for the new storyline. 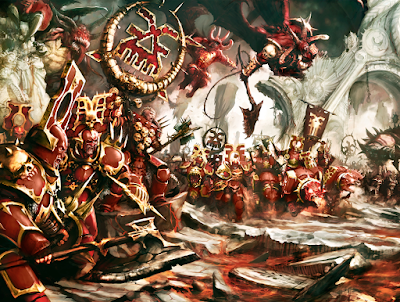 This made sense since they have always kind of been the villains of 40k, and it helped them set up the new story with the Age of Chaos being the reason that Sigmar had to launch his crusade. With the culmination of Malign Portents and the launch of AoS2 though, Nagash has now usurped that spot and firmly put the forces of Death center stage. They're even the villain to Chaos in a way. 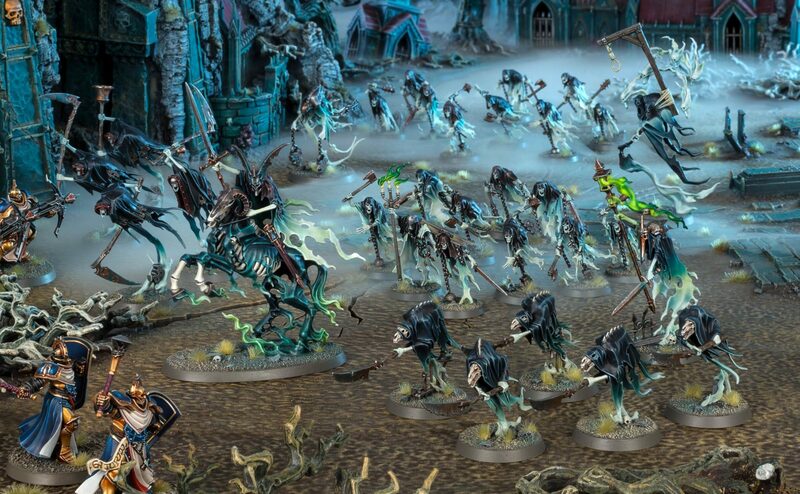 I personally think this is a great change, and there's more to it than me just being fond of Nagash's forces. I entered the hobby through 40k and when I started dabbling over into Fantasy throughout the various editions I was always drawn to the forces that were unique to that setting. Humans were humans, and elves were obviously a lot like Eldar, and Chaos is literally the same across the two, with the same named characters for the demons. That's why I was drawn to Tomb Kings, since they were something that I could only do in that sandbox (pardon the pun). I was drawn to Skaven, Lizardmen, and Undead in the same way. By making the main villain of AoS the forces of Death they have made the main villain something that you can only find in AoS. Sure, the Necrons are kind of like undead, but not really. 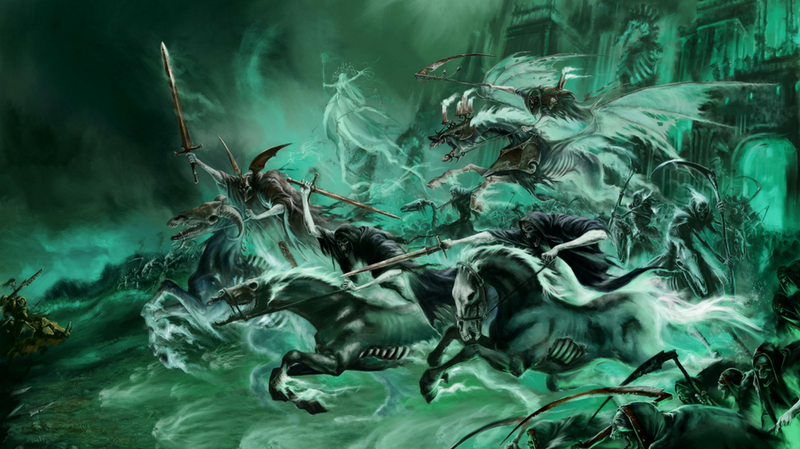 There's nothing in 40k that draws a parallel to them, and definitely nothing like Nagash. It really sets it apart from its brother system and gives players and collectors of AoS something just for them. 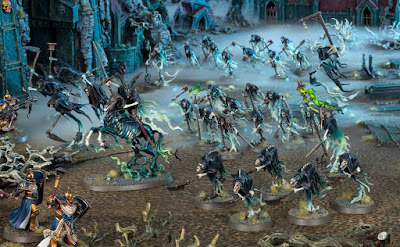 It also allowed them to really focus in on the faction and gives us the awesome new Nighthaunt range. Not only do I think Death is a better antagonist for the setting, but I think Nagash makes a much better foil to Sigmar. 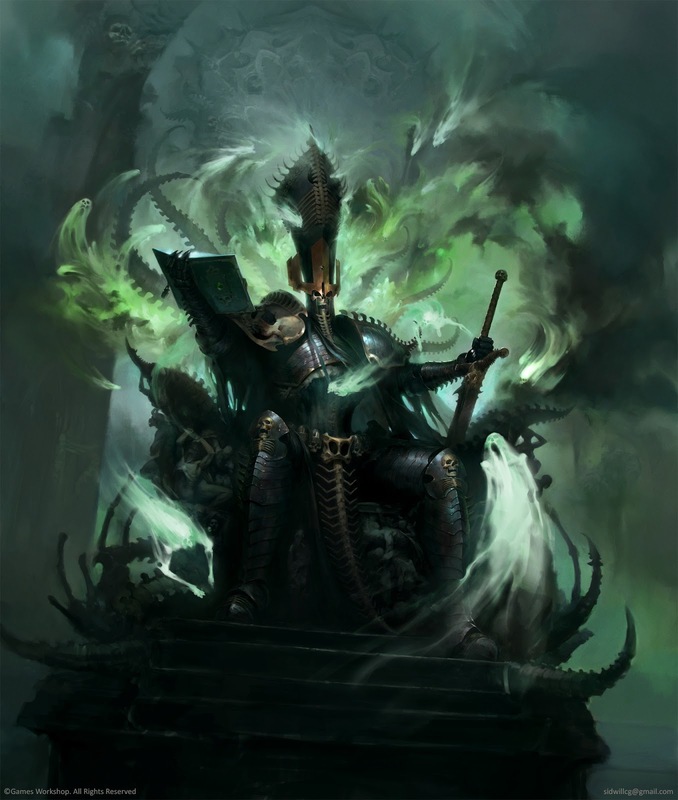 So, why do I think Nagash makes a better nemesis for Sigmar? Well, for starters, he's a singular person (deity?) as opposed to a group of four. Also, in the narrative of AoS him and Sigmar have some great history. They were once allies, and both think they were betrayed by the other, making it personal. This will give some great hooks for future stories. Not only is Nagash a dark mirror of Sigmar, but the force of Death are a twisted reflection of the the Stormcast's own immortality as well. All of these will provide much more interesting stories then just opposing the forces of Chaos who want to destroy everything. I also think Nagash and his Mortarchs are some of the more interesting characters in AoS, and anything that means more screen time for them is good in my book. I'm super excited to see where the story goes form here and when Sigmar the Soul-Thief will get his comeuppance. If this hopefully means more awesome Death models as well, then I'm all for that. What are your thoughts on this? 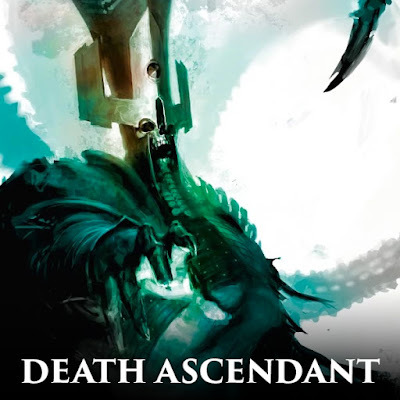 Does Death make a more interesting and unique antagonist for AoS then Chaos, or should Archaon still be leading the charge?